Welcome back to part two of my series of articles on the best Walt Disney World Resort hotels for different age groups (you can find part one here). Today’s focus is on families with school-age children — from about age six through twelve. 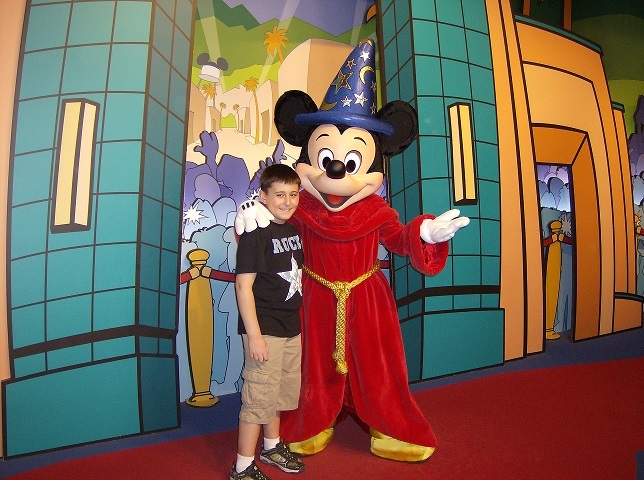 The elementary school years are one of the best times to take kids to Disney World. The same level of excitement and wonder they had as pre-schoolers is still there, but now they have more stamina. Actually, in our experience, much more stamina than mom and dad do at times. 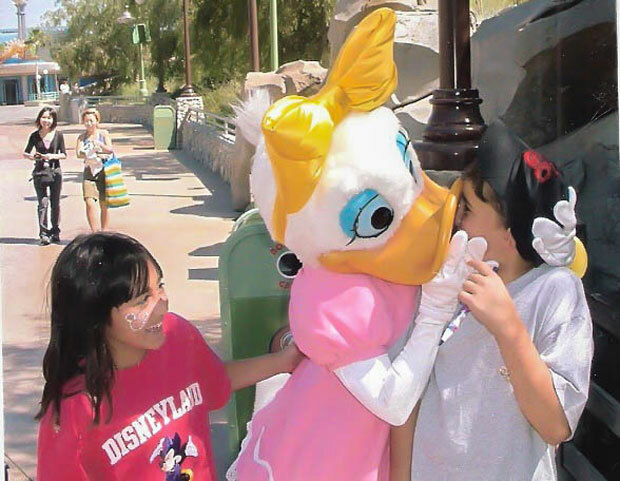 Some of the best vacations we’ve had as a family were the ones we spent in Disney parks with our school-aged kiddos. And when you add the best resort possible for these ages, your vacation is even more magical. In my opinion the Art of Animation is still the winner here. School-age kids enjoy the theming here just as much as the little ones do, and the pool areas are perfectly suited for children of all ages. 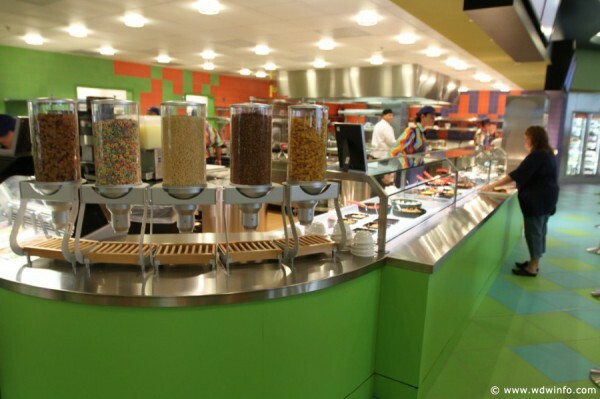 Since I discussed the rooms in detail in my previous article, I thought I’d talk a bit about the food options available for your family during your stay. Art of Animation has the best food court on property, and is a fabulous place to eat, even if you aren’t staying at this resort. 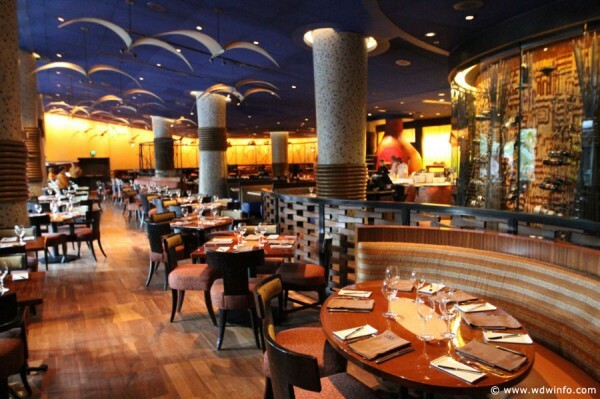 It truly is a “Landscape of Flavors,” as its name suggests, with multiple dining options for a more sophisticated adult palate as well as traditional child favorites. The food court is bright, colorful, and easy to navigate. It is organized into four stations (plus a grab-and-go area), each focusing on a particular type of cuisine. At the time of writing, the stations served pizza, sandwiches, pasta, burgers, salad, and Indian cuisine. Breakfast features traditional American breakfast choices, including omelets, pancakes, waffles, French toast, and breakfast sandwiches. Vegetarian options are available at all meals. For those of you with children sensitive to noise, note that this food court is chaotic and loud during busy times of the day. Since there is ample outside seating, I would recommend enjoying your meal there whenever the weather allows for it. 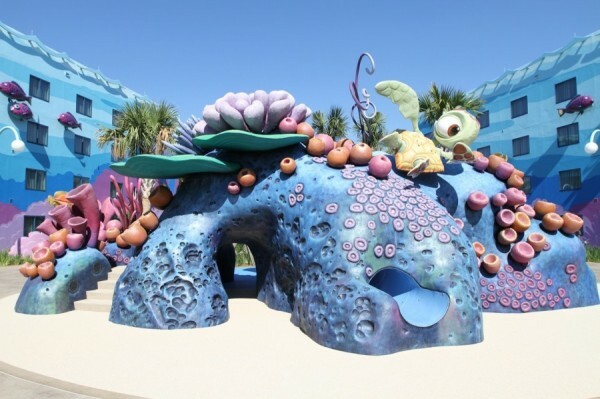 Overall, Art of Animation is a very appealing resort for school-aged children. 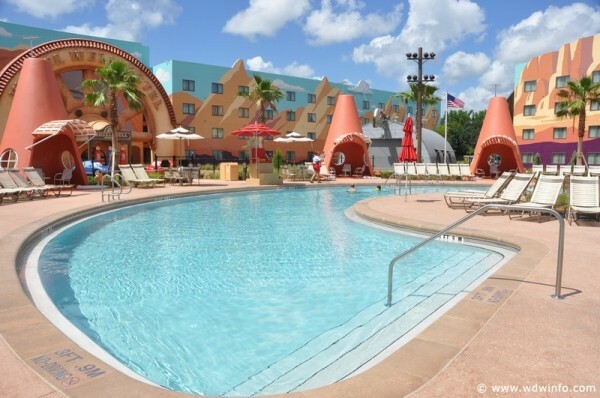 The family-friendly suites, the varied food choices, and the biggest swimming pool of all Disney resorts combine to ensure your family will have a wonderful time. This is a can’t-miss choice for first-timers looking to immerse themselves in all things Disney, especially if this is your “once in a lifetime” visit to the parks. 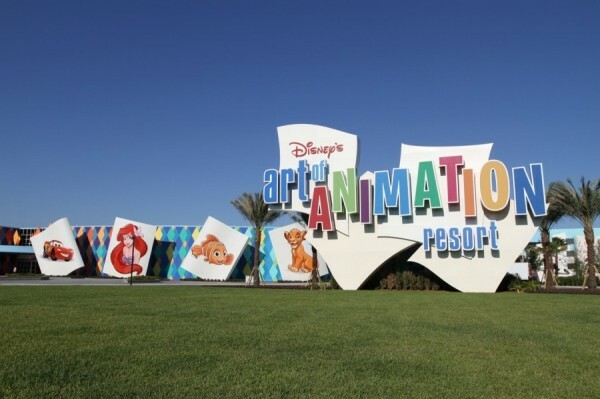 The Art of Animation resort is served by the Disney bus system. At the risk of sounding like a broken record, my choice for best moderate resort for families with school-age children also stays the same as my favorite moderate resort for families with young children: Port Orleans. However, for school-age children, I specifically mean Port Orleans Riverside. And even more specifically, the Alligator Bayou rooms. Port Orleans Riverside has a very different atmosphere than its sister resort, French Quarter. It’s slower and more relaxed, with a laid-back, “we’re on vacation” feel to it. It’s a nice counterpoint to the frenzied atmosphere of the parks, and a very nice resort to come home to at the end of a long day. 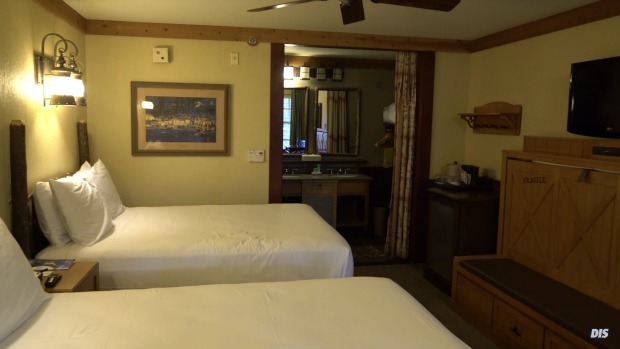 The Alligator Bayou rooms are charming and comfortable, and some units are available with a pull-down trundle bed which will accommodate families of five. The resort itself has wonderful opportunities for swimming, with the main pool located on Ol’ Man Island. The pool is designed like an old fashioned swimming hole, and has lots of fun water features, including a 95 foot long water slide. 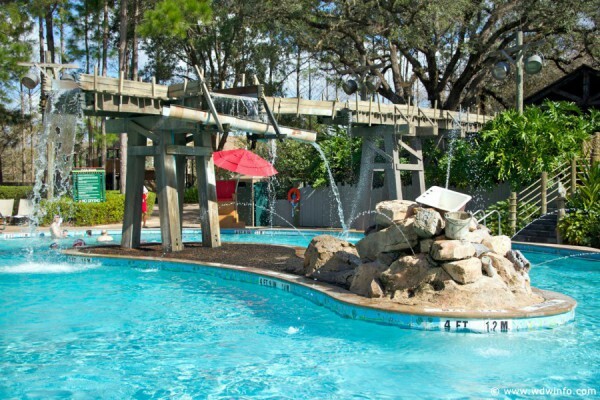 There are also three additional quiet pools in the Alligator Bend section of the resort. 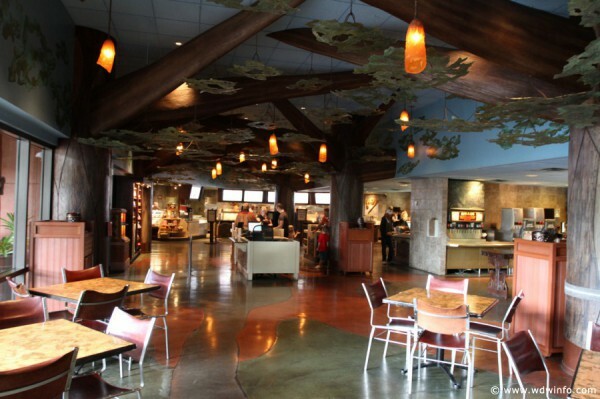 The food court at Riverside is called the Riverside Mill, and the food selections are decent. There is a slight Cajun flair to some of the selections, and plenty of choices to suit everyone in your party. 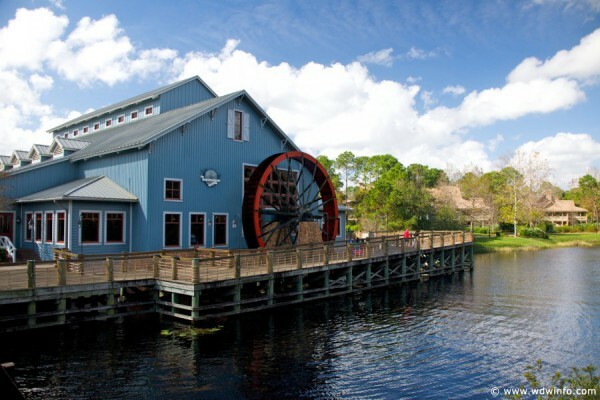 The table service restaurant, Boatwright’s, is not one of my favorites, but being only a boat ride away from Disney Springs, you’ll find plenty of delicious options there for a sit-down meal. One thing not to miss when you’re staying at Riverside is Yehaa Bob Jackson, who entertains crowds with his piano Wednesday through Saturday evenings at the River Roost. His show is pure, high energy fun, and everyone has a smile on their face while he performs his magic. His show is for kids of all ages, so be sure to stop by and enjoy! Port Orleans Riverside Resort is served by the Disney bus system. Boats are available to transport guests to Disney Springs. 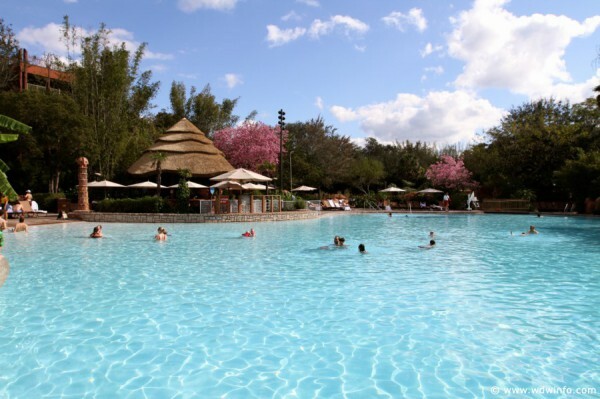 My first choice for a deluxe resort for school-age children is Disney’s Animal Kingdom Lodge. Honestly, this is a great resort for any age group, but it holds very strong appeal for those between the ages of six and twelve. 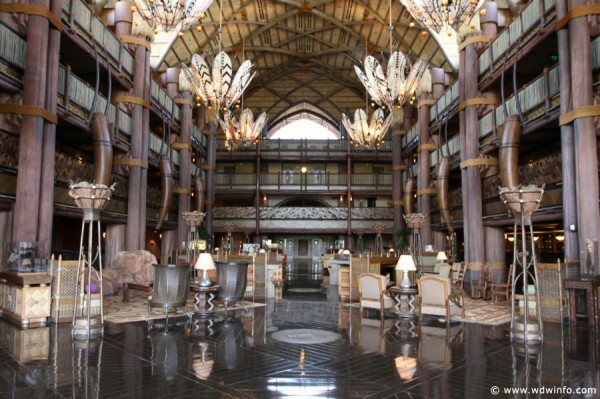 When you first walk into the lobby at Jambo House (Kidani Village is the Disney Vacation Club component of the resort), I guarantee your jaw will drop. It is spectacular, and it gives you the first taste of the adventure you will embark on while staying here. Every last bit of this resort is themed to perfection, providing your family with an amazing cultural experience that truly makes you feel like you’re staying in a lodge on the African savanna. One of the first things your children will notice is the animals. The resort itself is horseshoe shaped, with rooms encircling the savanna areas, where wild African animals are kept in as natural a surrounding as possible. Here you can observe giraffes, wildebeest, gazelles, zebras, and more from multiple locations in and out of the resort. Cast members are available to answer any questions you might have, and I’ve found them to be very knowledgeable — even with the unusual, and often funny, kid questions. And if your child is required by their school to make their trip “educational,” this is a great place to film a video they can submit as a report upon their return. If you can afford the extra expense, the savanna view rooms are worth it, in my opinion. There is nothing like sitting on your balcony at sunrise to watch the giraffes feeding. It’s definitely an experience your children will always remember. Animal Kingdom Lodge has one of my favorite pools on property. It’s 11,000 square feet, with a zero entry side, and borders the savanna. While this pool is fun for kids (with a water slide and nearby playground), I find it to be exceptionally relaxing for adults. The lounge chairs are plentiful, and the Uzima Springs pool bar provides light dining and delicious drinks. It’s a wonderful place to take a break from the parks and enjoy some laid-back family time. 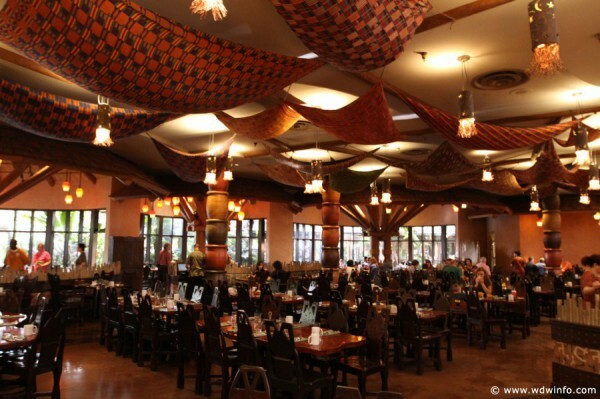 I can’t talk about Animal Kingdom Lodge without mentioning the dining. Three of my favorite restaurants are located here. Boma, Jiko (in Jambo House), and Sanaa (in Kidani Village). Boma is a buffet, open for breakfast and dinner, serving up unique African dishes along with traditional American favorites. Everyone in your family will find something they like here. And because you only have to put a tablespoon of something on their plates, I’ve found it to be a great place to get my kids to try new foods. 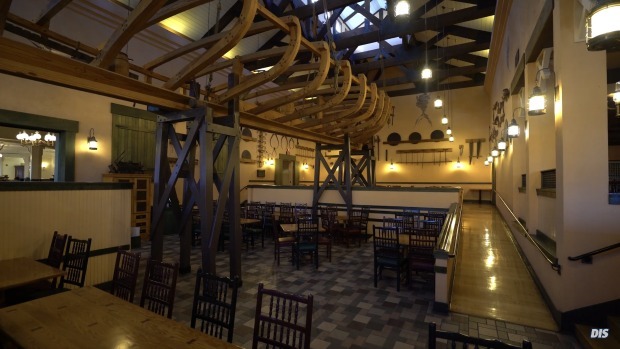 Jiko – The Cooking Place is one of the best restaurants on Disney property. Everything here is delicious and a bit on the exotic side. If your children are picky eaters, this might be a restaurant for mom and dad to enjoy without the kids. 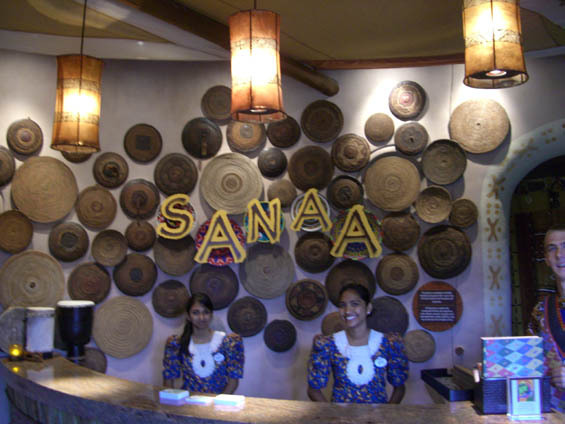 Sanaa is located on the Disney Vacation Club side of the property, and is an Indian table service restaurant. I have two words for Sanaa: bread service. Get it. It is beyond delicious, and something I order every time. Everything else on the menu is very good as well. The Mara is the quick service option at Animal Kingdom Lodge, and has the usual American fare (chicken nuggets, etc. ), but it also has delicious flatbreads that are worth the trip. They also have the zebra domes from Boma, so you can take some back to your room to enjoy later. Some people are nervous about staying at Animal Kingdom Lodge, because unlike the other Disney deluxe resorts, the only method of transportation for guests without their own vehicles is the Disney bus system. Don’t let this discourage you. If your children are school age, they are generally able to handle a twenty-minute bus ride to the Magic Kingdom, and the benefits of staying here more than make up for that tiny inconvenience. So, there you have it. My top three resorts in each category for families with school-age kiddos. What are your favorites? Let me know in the comments.